Our auto finance staff offers expert advice for those seeking an affordable car loan or lease. Our service doesn’t just stop there. Norco customers can come in and take advantage of our knowledgeable car repair technicians and a fully-stocked inventory of auto parts. Whether you are looking for a new Dodge, Jeep, Chrysler or Ram, or a pre-owned car or truck, we are here to help. If you don’t see what you are looking for, simply fill out the Vehicle Finder form. We will let you know when vehicles arrive that match your search! If you would rather discuss your options with our friendly sales staff, we are conveniently located at 1983 Hamner Ave in Norco, CA. You can also reach us any time by filling out our contact form or calling us. Browning Dodge looks forward to serving you! 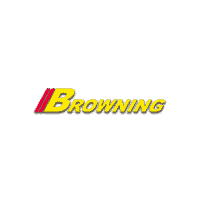 With the death of the founder Richard Browning in 1991, ownership of the Browning Automotive Group passed on to his son, Kent Browning, who has been with the Browning Automotive Group since 1975. Under Kent Browning’s direction, the business has expanded to Victorville, CA with the purchase of Valley-Hi Toyota and Valley-Hi Honda in 2001 along with the purchase of Valley-Hi Nissan in 2004, the addition of Valley-Hi Kia in 2010. In 2012 we expanded to Norco, CA with Browning Dodge Chrysler Jeep Ram and now the addition of the All New Browning Mazda Of Alhambra in Alhambra, CA.